100% enable Microsoft Office 2019 Professional Plus serial key is on sale here in www.keysaleonline.com. Key Sale Online has been approved to be the most trustable online store to buy Microsoft Office 2019 Professional Plus key code at affordable prices. Enjoy effective www.keysaleonline.com with retail Microsoft Office 2019 Professional Plus key code. Action Now, support Paypal to checkout. This Microsoft Office 2019 Professional Plus product is absolutely Genuine license key. Activate Microsoft Office 2019 Professional Plus version (32 bit & 64 bit) and support Microsoft Online Update. One Key For One Computer. One Microsoft Office 2019 Professional Plus product key works permanently on one computer. Forever useful to reinstall the Operation System or Application Software. 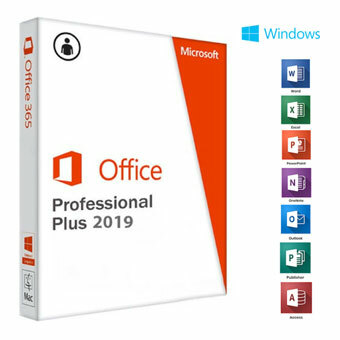 Best Prices Guaranteed for Microsoft Office 2019 Professional Plus Product Key just $54.99. Easy Download. The download link of Microsoft Office 2019 Professional Plus will be sent to you by email if needed. 1. The Microsoft Office 2019 Professional Plus key can only work on the latest genuine version, not for OEM, Trial, Preview, Evaluation or other non-genuine version. 4. I wanna buy Microsoft Office 2019 Professional Plus Key, but I need to know what your guarantee is. If I have problem in the future, what should I do?